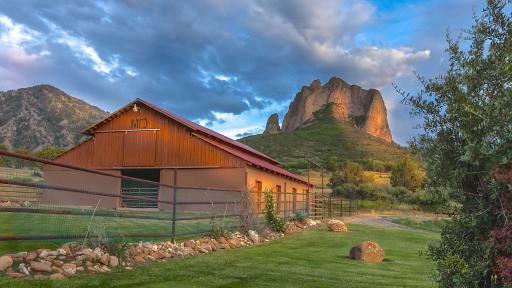 The 240-acre Mad Dog Ranch in Colorado will be sold to the highest bidder on September 1st, 2016. 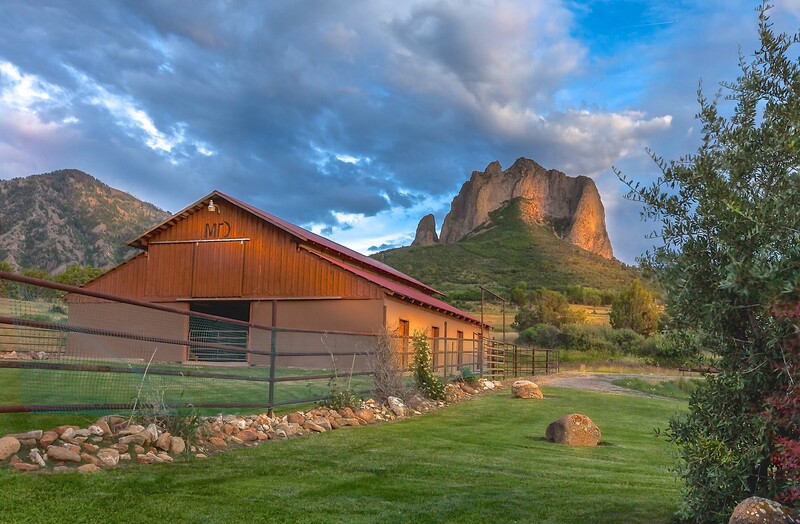 Custom built for rock and roll legend Joe Cocker and his wife, Pam, Mad Dog Ranch is a private estate featuring breathtaking views of Needle Mountain in Crawford, Colorado. Supreme Auctions® will offer this incredible property in a luxury absolute no reserve auction on September 1st, in cooperation with listing agent Mandy Nadler of Coldwell Banker Residential Brokerage. The late Mr. Cocker, best known for his bluesy rendition of the Beatles original “With a Little Help from My Friends”, started building the English Tudor style home with Pam after being inspired by their travels through Europe. The manor features a stunning 33-foot turret that welcomes you into the grand foyer. The chef’s kitchen, large formal spaces and expansive outdoor decks are perfect for entertaining, while the second floor is dedicated to the comforts of private family life. The luxurious master suite features a 13-foot vaulted ceiling, stone fireplace, private balcony, his and her master baths and more. Complementing the house are formal gardens, landscaped lawns, an acre-sized swimming pond and 80 acres of irrigated pastures stretching in every direction. Hiking, ATV and horse trails throughout invite exploration. Backing to 400,000 acres of BLM land, the property’s working ranch includes a 7-stall barn, silo, turnouts, and outdoor arena. Located just outside of Crawford, you’ll find unique shops, and exclusive fly-fishing, rafting, hiking and hunting spots. Nearby Aspen and Telluride offer skiing, resorts, spas, shopping, dining and more. The luxury no reserve absolute auction of Mad Dog Ranch will be held on September 1st, 2016. Interested parties are invited to call Supreme Auctions at (866) 929-2243 or visit www.supreme-auctions.com. Supreme Auctions® is a leader in luxury real estate property auctions, providing proprietary accelerated marketing services unique to each distinctive property represented and sold. With 15 offices across the United States including Hawaii and an office in Costa Rica and London, UK, the company has a dedicated team of auction marketing professionals that provide decades of expertise, integrity, and knowledge. Supreme Auctions provides the highest level of service to both sellers and buyers of multimillion-dollar luxury properties by combining experience with the most current technology and marketing resources. The company offers sellers and luxury brokerages nationwide the appropriate auction strategy to ideally suit each exclusive property, providing services that are unparalleled in the real estate auction industry.